It is our pleasure to have Wei Kheng from Dasher sharing his real-life tips on providing great customer online shopping experience, which is the main contributing factor behind their million dollar sales thus far. Wei Kheng and his partner, Wei Bin are among the youngest e-commerce entrepreneurs in town, both of them are only 21 years old and they are already reaping 6-digits monthly online sales since last year, with most of the revenue are coming from their Lelong.my store. You might be wondering by selling highly competitive mobile and camera accessories, how are they able to stand out among the crowd? Is it purely by price competitiveness? "It is all about customer experience, always do the best for your customers! ", Wei Kheng emphasizes on their business philosophy. "It is important to be very responsive to customers, if you have delays replying to their queries, you might lose the customer who might then go and buy from others", shares Wei Kheng. One of the factors behind Dasher's growth from 5 to 6-digits monthly sales is by hiring a full-time employee fully focused on customer service. If you are business owner and you are still doing the customer service by yourself, it's time to rethink the areas you should really focus on. Prepare to scroll down from here, this is exactly how long is a product page of Dasher, or click here to view the actual product page itself. The improvement on the product page from text-based in the early days to visual-based description is no doubt a contributing factor to Dasher's success. "Picture is worth a thousand words", even more applicable in this part of the world. Always remember Internet users tend to browse, not read, so this is a very important aspect of user experience every online sellers should know. 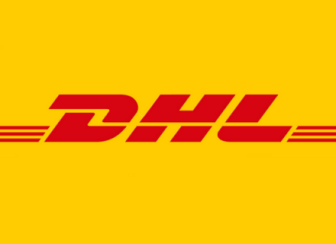 Another China-inspired method is having small gesture on fulfillment, "We attach a personalized thank you letter plus a small gift with every delivery, it is our customers who contribute to our business growth", says Wei Kheng. According to Wei Kheng, customers tend to take the initiative to leave a good rating on his store with the gesture above, instead of asking them directly to do so. 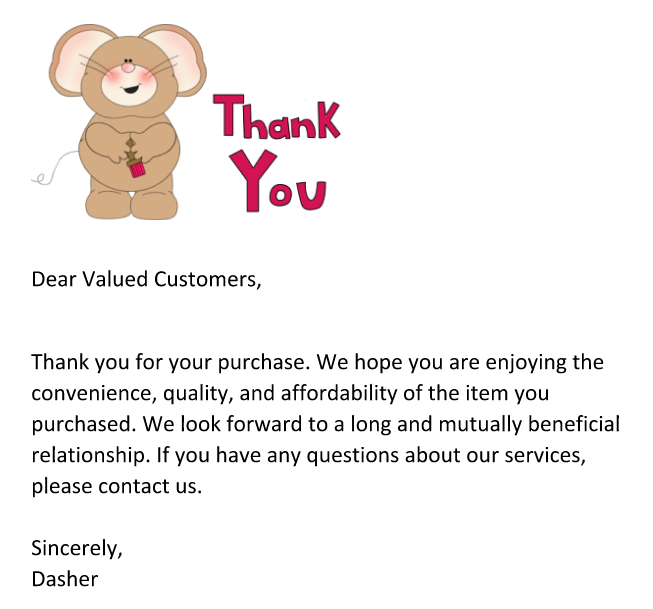 He adds that Dasher rarely issue voucher as their profit margin is not high, but they are willing to invest into the fulfillment experience with parcel packing being done professionally. It is also interesting to see that there is a thank you note to Poslaju on every parcel. "I think every Poslaju personnel in Bukit Mertajam know who we are. Conclusion is, people may not remember exactly what you did, or what you said, but they will always remember how you made them feel", smiles Wei Kheng. Besides that, Dasher will also attach a sorry note even if they are 1 day late in delivery, which is inspired by Domino's according to Wei Kheng. 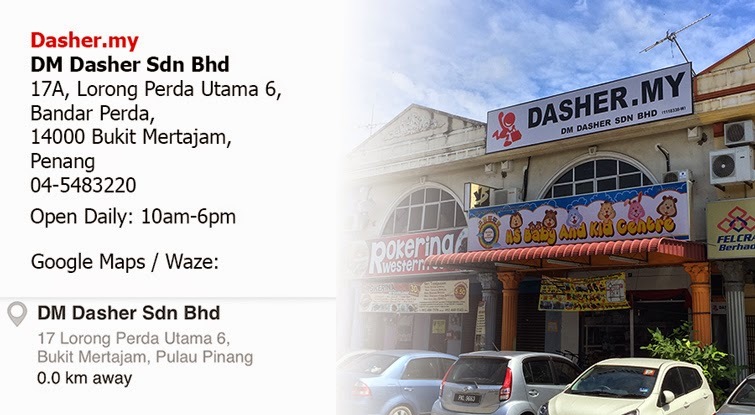 Another turning point that contributes to Dasher's success is the setup of self-collection centre in Bukit Mertajam and Cheras. Wei Kheng shares that around 15% of their orders are self-collection, "Our first-time customers can travel from Balik Pulau, Alor Setar, Taiping all the way to our warehouse in Bukit Mertajam to collect their parcels", comments Wei Kheng. He adds that this group of customers might travel to pick-up themselves for the second time purchase, but this time they might bring some friends over too, or becoming resellers themselves. "Third time onwards? They will buy online. It is about overcoming the trust barrier with self-collection", emphasizes Wei Kheng. When asked about the opening hours for their customers to do self-collection, Wei Kheng says their warehouse in Bukit Mertajam is open 7 days a week, and sometimes until late night. 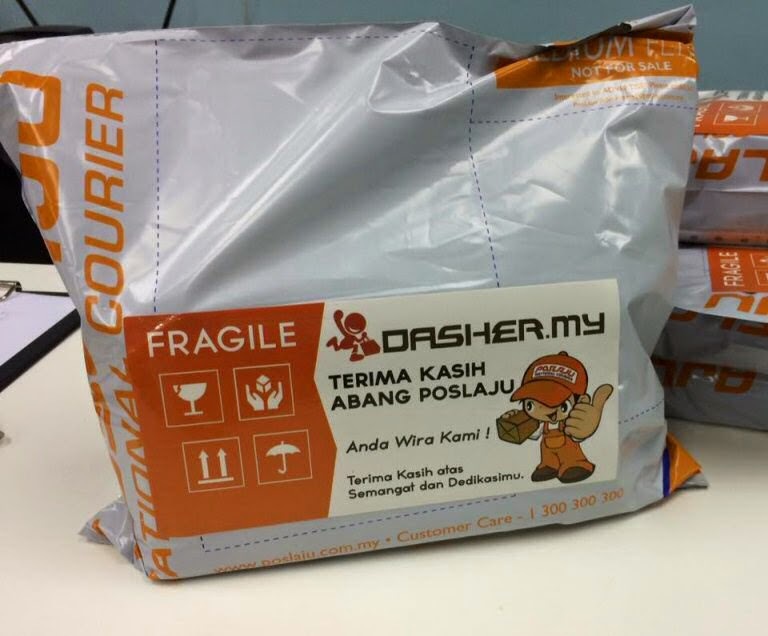 While customers can arrange collection by calling Dasher before picking-up in Cheras during weekends too. This is definitely a great facility for customers who are having their day job, in which majority of us are.